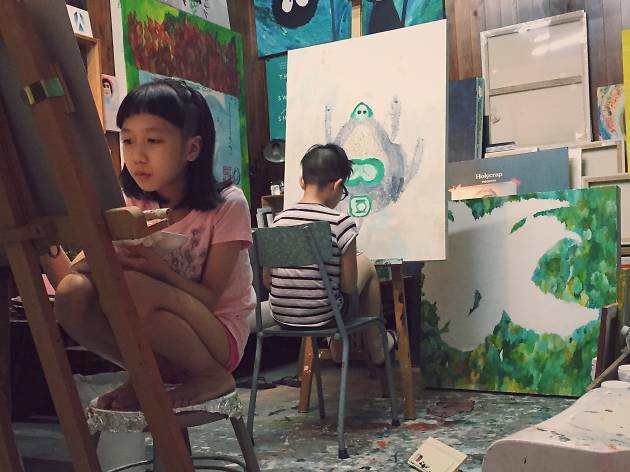 Their show at Gallery and Co at the National Gallery may have been taken down prematurely last year, but brother-and-sister duo Renn and Aira Lim are back, and they’d like to once again invite visitors into a visual-fest of painted stories. When Renndom met Airany is a visual experiment in which 12-year-old Renn and nine-year-old Aira collaborate and critique each other’s works. The result is a display of their love, hate, similarities and differences – all with a good dose of random musing and irony.